Finished inktober 2014! I had a lot of fun, and enjoyed going back to pen and ink. I loved going for the vintage theme - made me appreciate the old style of modelling, especially the emphasis they had on graceful hand poses. Beautiful! 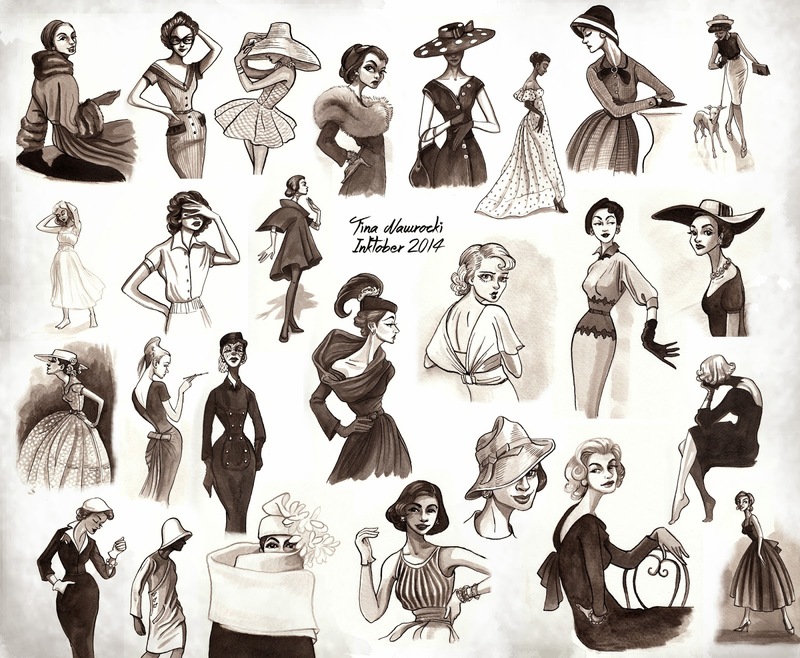 Here is a collage of all my vintage themed inktober sketches! :) Enjoy! Inktober - Oct 27 - 31st!